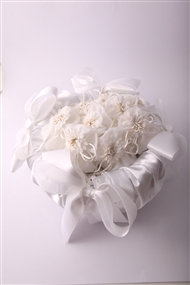 Arrange your bomboniere in beautiful satin baskets, made to order to fit your colors and sizes needed. 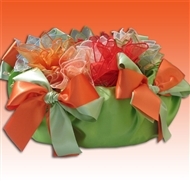 Satin baskets are available in a wide variety of colors for both the basket and the wide satin ribbon adornments. Baskets come in two sizes - for 25 or less and for 25-50 bomboniere. We also offer other presentation options for your lovely favors.